The Test and Commissioning Engineer – Audio is a member of the Operations Team, providing contracted testing and commissioning as directed by the Sysco Project and Operations Team. The primary focus is to meet client testing and commissioning needs as specified by Sysco Design and Production Engineers. To plan and undertake testing and commissioning of audio/visual systems both within the Sysco workshop and on client sites to ensure their compliance with Production Engineering documentation. On larger or more complex projects, to work under the supervision of the Project Manager, agreeing work schedules and approach and keeping them informed of progress. To ensure that the Site Manager and/or Project Manager are kept informed of commissioning progress and any issues that may require their support or intervention. To liaise with external media agencies to ensure their media is delivered in agreed and appropriate formats for the playback hardware. To create, maintain and issue the final IP Matrix for projects so that the Production Engineer can create accurate O&M documentation. To create, maintain and issue the final Media Matrix for projects so that the Production Engineer can create accurate O&M documentation. Strong experience in set-up, testing, fault finding and installation of AV equipment. 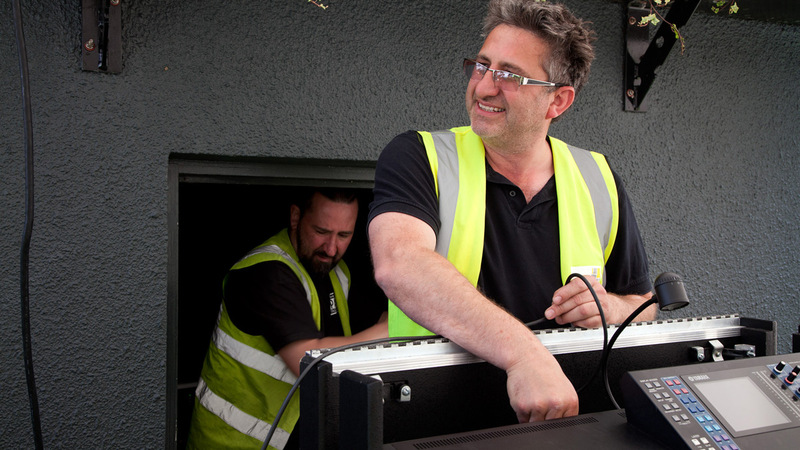 Strong technical knowledge of AV systems gained within a similar industry is desirable. Organised and flexible, confident approaching different tasks to meet tight deadlines. An experienced technical engineer with experience of networks and audio/visual systems. Experience of configuring and installing AV audio systems, including expert knowledge of one or more of the following: DAW, DSP, RME/Focus/Brehinger, Amplifier Configuration, Speaker/Room Configuration, Plug-ins. Experience of using Adobe Creative Suite. Experienced in working to high standards and possessing strong attention to detail. Experience of working with minimal supervision and on own initiative. Full UK driving license with no previous or current driving bans. CITB Health, Safety and Environment Test. Ability to work to high standards and possessing strong attention to detail. Excellent interpersonal and communication skills, written and verbal. Highly confident in working as an integral member of the team. Flexibility to work on a variety of client sites.